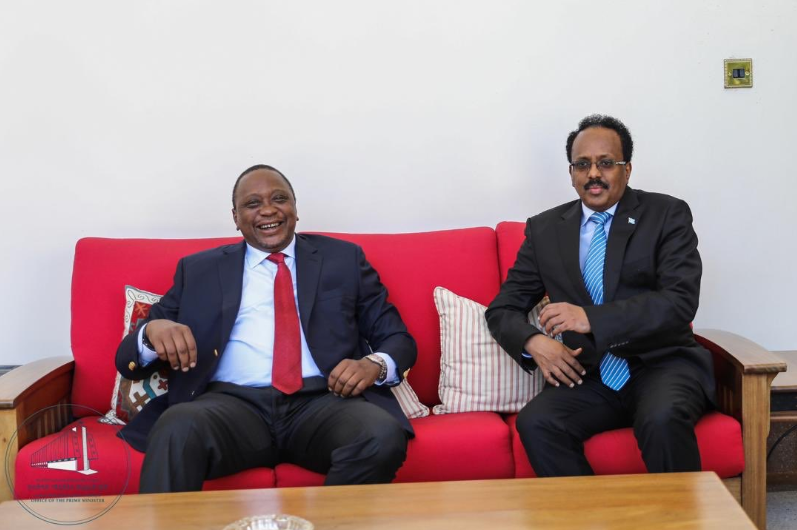 On Wednesday, the Ethiopian PM mediated a less-than-colourful meeting in Nairobi between presidents Uhuru Kenyatta and his Somali counterpart Mohammed Farmajo. 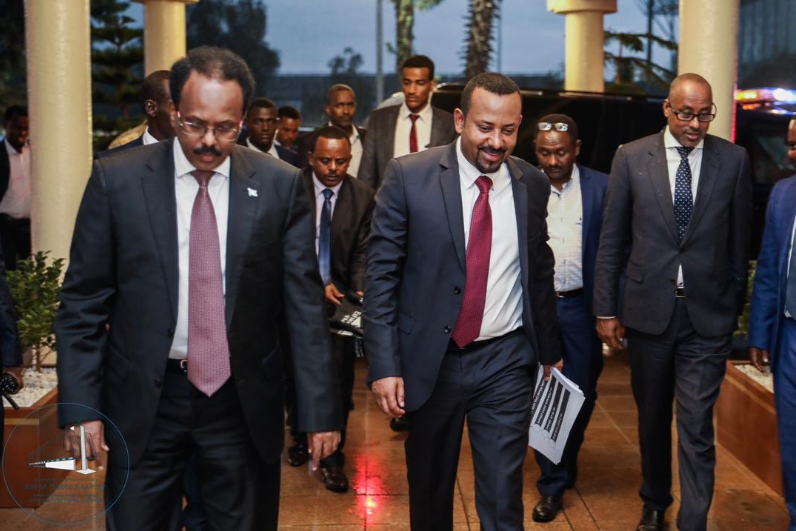 Dr Abiy, who arrived in Nairobi on Tuesday night accompanied by Somali President Mohamed Abdullahi Farmajo, had hoped he would convince the two countries to iron out the dispute. Somali and Kenya are both claiming a 100,000 square kilometre stretch maritime boundary line at the Indian Ocean. Ethiopian Prime Minister Abiy Ahmed has failed to broker a peace deal between Kenya and Somalia. On Wednesday, the Ethiopian PM mediated a less-than-colourful meeting in Nairobi between presidents Uhuru Kenyatta and his Somali counterpart Mohammed Farmajo over the simmering maritime dispute. A Somali diplomat told the Business Daily, that Mogadishu will wait for the International Court of Justice (ICJ) to decide on the dispute as opposed to Kenya’s demand for an out-of-court settlement and reversion to a map agreeable to both sides. Nairobi has largely kept mum on the details of the meeting and the low-key form of it was amplified by the fact that there was no joint communique issued after the discussions held during a closed-door meeting at State House, Nairobi. 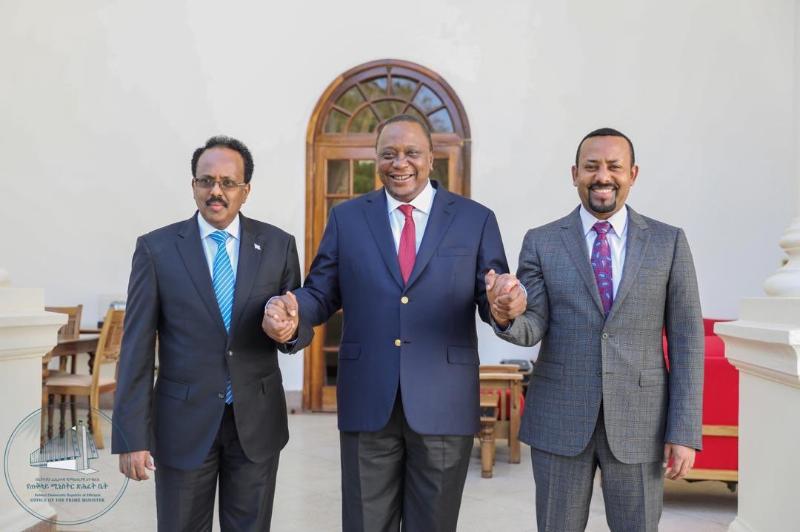 It was not all for nothing though, Dr Abiy managed to convince the two countries to restore a bit of diplomatic normalcy until the case was concluded. Mr Farmaajo’s spokesman Abdinur Mohamed Ahmed said the leaders had agreed to allow back their respective envoys as a way of “restoring relations”. The two countries are both claiming a 100,000 square kilometre stretch maritime boundary line at the Indian Ocean.